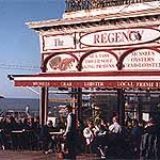 The Regency Restaurant is one of the oldest and most popular seafront restaurants in Brighton. 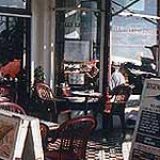 Enjoy tasting the locally caught fresh fish whilst admiring the beautiful views of the sea and the West Pier. 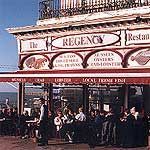 Do you work at Regency Restaurant? What did you think of Regency Restaurant? The fresh fish here is divine a definate must for fish lovers everywhere. My girlfriend and I went to The Regency Restaurant one evening last week and I have to say this was one of the worst dining experiences I’ve encountered. I ordered a mackerel pate as a starter and I was shocked to see this come with one thin slice of bread which I would describe to be from a cheap own brand supermarket. For a main course I had the rainbow trout which was accompanied by new potatoes - these potatoes were obviously from a tin. The food came out relatively satisfactory timing but the service was generally slow. After finishing our main course I subsequently asked for the bill (twice). Upon receiving it I decided for only the second time ever that I would not pay a tip. 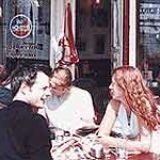 The waitress proceeded to take the cash away and shortly returned to say I had not paid the bill in full. I said I had but opted not to pay the optional tip. She said “You could have said before I ran up the bill, why did you not want to pay?”, where I proceeded to explain why and she retorted “what do you expect when you pay prices like this!?”. Our bill came to just over £50. Speaking to a work colleague the next day she said she had eaten there recently had been given fish which she described and been fried at least twice before being served.